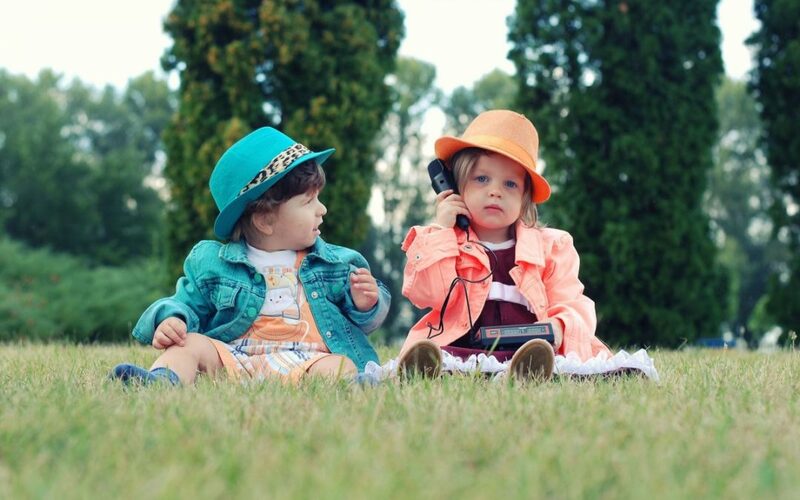 At What Age Should My Child be Talking? For new parents, caring for their little ones during those first few years of life can be an amazing experience filled with joy and discovery. For many parents, it can also be an incredibly stressful time when they experience the enormous pressure to guide their children well during those precious formative years. Many parents, concerned about whether they are doing enough to create a strong foundation for their children, focus on key developmental markers to reassure them that the growth of their little one is on track. One of the most important of these markers is the beginning of speech in children. When do most children speak their first words? It’s not uncommon for children to have developed a vocabulary of several simple words shortly after the one year mark. However, basic communication, accomplished by pointing, crying and looking at what they want, begins as early as three months. Many one-year-old babies know a handful of words but haven’t developed the required control to articulate the appropriate sounds. To help speed their progress along, remember that your little one is learning from you. Talking to children clearly and constantly can help them to begin to recognize sounds and understand their meaning. Reading every night with picture books should be a priority. Scrolling through family photos while reciting your family’s names can help your child to learn them. As you practice with them, systematically choosing words that include the most common and important sounds of your language can help facilitate their learning. When should parents expect to hear short phrases? Between the ages of one and two, your child will most likely be in the middle of a language explosion. Speech development in children is rapid at this time. By 24 months, your child should have learned anywhere from fifty to a hundred words and will repeat the words you say whether you like it or not! You can also expect to hear your tot begin to construct simple two phrase thoughts, for example “my juice,” or the dreaded, “no mom!” You will be amazed at how much they are talking, and their creative use of their limited vocabulary. At what age should children be speaking in complete sentences? By the time your little one is ready to enter preschool, around the age of three, they should be communicating in simple sentences ranging from a few, to several words. They will begin to speak in complete thoughts in the form of simple sentences. They will start to expresses logical sequences of thought such as, “at school I drew pictures!” a thought that expresses an activity and a context. They will also soon understand instructions with two parts like, go there and do that, or get that and bring it here. You can help them by playing games that involve simple instructions with multiple parts. Simon Says is an excellent example of a game that requires children to think of an instruction combined with a condition: They put their hand on their head, but only if you say the key phrase first. These multi-layered sentences lay the groundwork for the development of logic that will come in handy soon. When should my children begin to learn a second language? One of the biggest advantages you can give your child is to help them gain familiarity with a second or third language. Most school systems in the United States don’t incorporate significant foreign language instruction until middle school, and most students don’t study a second language until high school! This failure to take advantage of the time when speech development in children is exploding is unfortunate. After these formative years, developing an ear for a language and the ability to reproduce sounds will get increasingly difficult for your child. At the age of ten months your baby will gradually lose the ability to hear and vocalize sounds they are not exposed to. Easing your child’s ability to master another language can enrich their lives in uncountable ways and give them a helpful advantage when they are applying to colleges or seeking employment as adults. Every child is unique. Remember that these milestones are only guidelines to help you keep track of your child’s development. The development of speech in children progresses differently with every child. If your child begins talking later than other children, it’s not time to panic. Conversely, it might be a good idea to increase the amount of time you spend practicing with them. Your child has limited exposure to the sounds that will form the basis of their vocabulary during those critical first months. Remember to have fun. You’re about to experience one of the most joyful times in your children’s lives as they learn to express themselves for the first time!